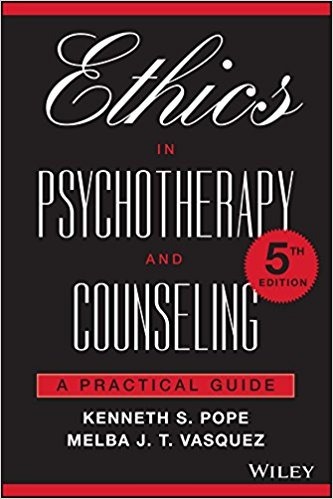 Updated and expanded to include recent research findings, landmark legal decisions, the Hoffman Investigation Report, and changes in the ethical guidelines of the American Psychological Association and the Canadian Psychological Association, Ethics in Psychotherapy and Counseling covers the latest developments in ethical thinking, standards, and practice. You’ll learn how to strengthen your ethical awareness, judgment, and decision-making. Chapter 1 What Do I Do Now? This is a substantial sized book at 20 chapters and almost 500 pages in length so you are assured that the information about ethical considerations is detailed. The authors write in a conversational style that helps put a complex issue of ethics in an easy place to discuss. It’s worth noting that one of the authors, Melba Vasquez, served as the 2011 president of the American Psychological Association (APA). Ethical awareness is a continuous, active process that involves constant questioning and personal responsibility. Awareness of ethical codes is crucial, but formal codes cannot take the place of an active, thoughtful, creative approach to our ethical responsibilities. Awareness of relevant legislation, case law, and other legal standards is crucial, but legal standards should not be confused with ethical responsibilities. We believe that the overwhelming majority of therapists and counselors are conscientious, dedicated, caring individuals, committed to ethical behavior. But none of us is infallible. Many of us find it easier to question the ethics of others than to question our own beliefs, assumptions, and actions. It is worth noticing if we find ourselves preoccupied with how wrong others are in some area of ethics and certain that we are the ones to set them right or at least to point out repeatedly how wrong they are. Most of us find it easier to question ourselves on those intriguing topics we know we don’t understand, that we stumble onto with confusion, uncertainty, and doubt. The harder but more helpful work is to question ourselves about our casual certainties. What have we taken for granted and accepted without challenge? Nothing can be placed off limits for this questioning. As psychologists (therapists), we often encounter ethical dilemmas without clear and easy answers. Furthermore, the authors remind us that ethical concepts, standards, and guidelines inform our judgment but do not replace it. After the initial introductory pages, a series of ethical dilemmas starts in chapter 2 where a number of computer mishaps are detailed to show how a client’s information can be mishandled electronically. With each scenario, I found myself increasingly cringing at the mishap that had occurred. Cringing to the point where some of the situations made me think the best solution would be to close up practice and move to Antarctica. Of course, I’m joking but the mishaps were painful to read. Each situation was not intentionally created by an incompetent unaware therapist, but instead a series of events that could simply happen to anyone. And therein lies the importance of this book. We learn ethical guidelines in our formal education that often appear simplistic. We may even imagine ourselves being in situations where we would pull out our ethical guidelines and apply solution B to ethical problem A. But as the book shows in the first few examples of computer mishaps, ethical guidelines are often required to be applied to complex messy situations in real life. Where the intent of malice is not present and our involvement may actually be by association instead of direct contact. Developing your own ethical judgment is sometimes done in the process of personal experience or learning from other’s experience. To help develop your ethical judgment, this book provides a wide range of challenging ethical dilemmas that encourage you to examine your ability to think critically and apply reasoning and justification. The book also helps explore the common logical fallacies that we consciously and subconsciously apply in situations that might serve to threaten our own sense of security in our professional work. The implementation of effective self-care strategies provides personal benefits for a therapists well-being, however, self-care also helps therapists maintain the energy to apply ethical behaviour to their professional work life. 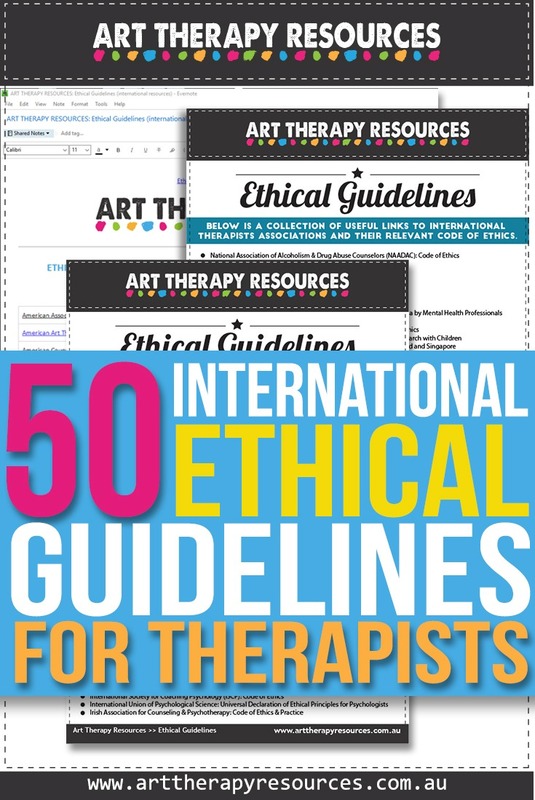 SIGN UP below to download the FREE summary of Ethical Guidelines and Code of Ethics from various therapist associations (global links). You can also access this Evernote document summarising 50 international therapist associations. to record your contacts details. You can save this note to your own Evernote. You can view the Evernote document even if you do not use Evernote. 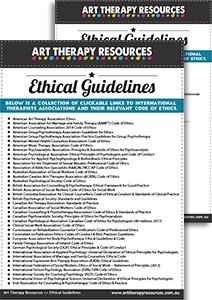 Download the FREE summary of Ethical Guidelines and Code of Ethics from various therapist associations (global links).